Mumbai: Gyarveeh Sharif is just round the corner and the folks from Madrassa-e-Gharib Nawaz in Madanpura, Mumbai are gearing up towards the completion of the replica of the shrine of noted sufi saint Hazrat Sheikh Alauddin Ali Ahmed Sabir (R.A.). 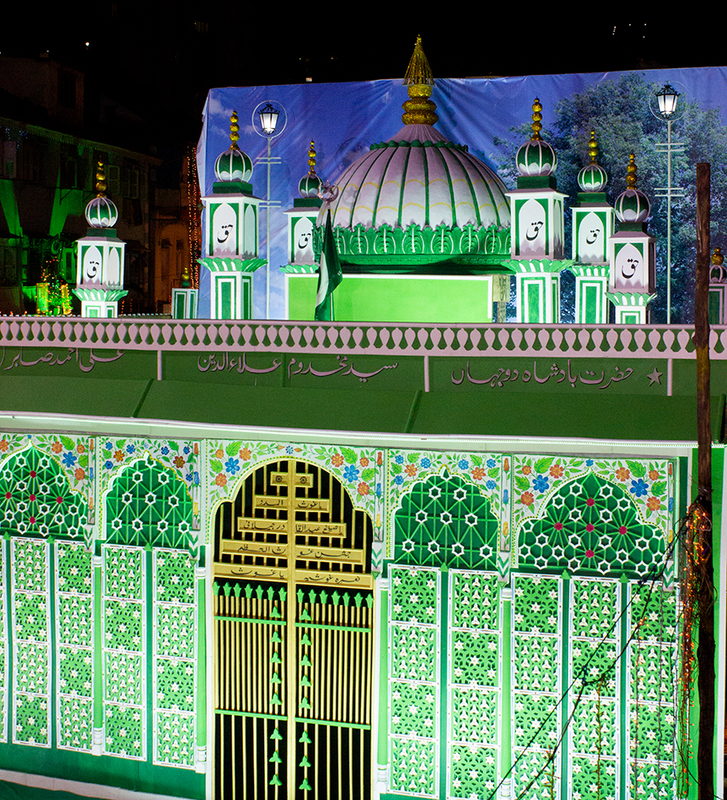 The committee is executing this novel idea of creating the replica of the shrines of the aulia-e-karaam on the occasion of gyarveeh sharif from the past 6 years. 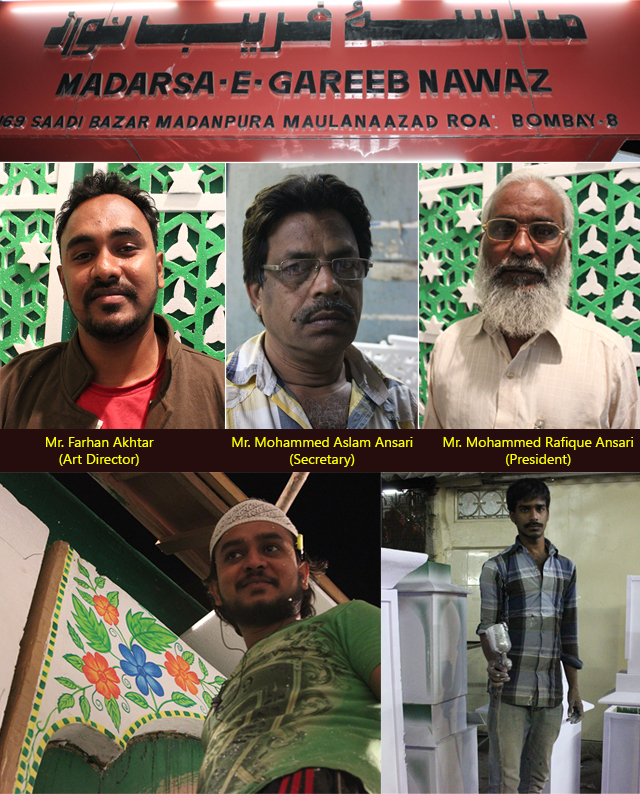 They believe that it is a token of gratitude towards the buzurg's and reminds the community about the great personalities. The idea was conceived by Mr. Mohammed Rafique Ansari, the president of the committee and executed every year under the supervision of the secretary Mr. Aslam Ansari. The replica is created by trained embroidery artists. Mr. Farhan Akhtar, who undertakes the art direction, says that most of the workers volunteer and the work is carried out during midnight, in the absence of curious onlookers. The committee has been awarded as the best 'shabi' (or replica) consecutively for five years by organisations like the All India Sunni Jamatul Ulema and Raza Academy. The cost of creating the replica is around 1.5 lakh rupees which is contributed by the people of the vicinity. The replica will be revealed to the public one or two days prior to gyarveeh sharif.